All participants will receive email of bracket and notification of winners. Rev Up for the 113th Grand Nest Convention in Indy! 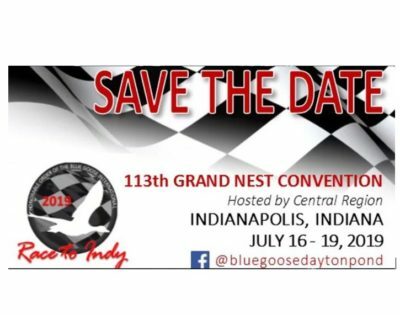 Registration is open for the 113th annual convention of the Honorable Order of the Blue Goose International, from July 16-19 at the Alexander Hotel in Indianapolis, IN. Lots of great activities are included in the registration fee (see agenda below). Details and registration links may be found here. Sign up early and save! 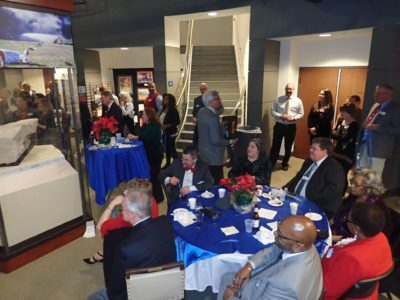 The Virginia Pond’s annual Christmas Social on December 19 was a great hit and one of our best attended! By popular request, the event was held at the Virginia War Memorial for the third consecutive year. 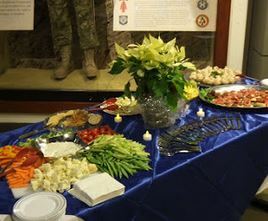 In addition to great fellowship and holiday cheer, guests enjoyed a catered Italian style buffet with anti-pasta appetizers and a pasta bar complete with three types of sauces, proteins, vegetables, and various toppings. Thanks to Maribelle’s for the delicious fare and service! As is our holiday tradition, charity was incorporated into the evening by way of a collection and raffle for the USO of Central Virginia. An estimated 3000-5000 troops and family members travel through the Richmond Int’l Airport during the holiday season. Over $700 in cash was donated between prize raffle proceeds and other contributions, on top of the snacks and personal items collected at the event. A special thanks goes to Woody Harrison for making the delivery on behalf of the Pond. We want to extend our sincerest appreciation to all who supported and attended this event. We especially want to recognize our venue sponsors, Belfor and US Financial Group. We look forward to more good charity and fellowship in the coming year! RSVP’s are now being accepted for the Virginia Pond’s 2018 Christmas Social on Wednesday, December 19. By popular request, the Virginia Pond will be returning to the Virginia War Memorial. Family and guests are welcome! The venue will be closed to the public during the event. For those who have not visited the memorial before, it is a wonderful monument to the men and women who have defended our country from World War II to the present. Its location offers a beautiful view of the James River and Richmond City skyline, which will be decorated for the holiday season. The event cost is $40/pp when paid by the RSVP deadline and $45 thereafter, and includes food, beverages (wine, beer, soft drinks, coffee), access to all exhibits, plus great fellowship! RSVP’s are needed by 12/14 in order to make sure we have enough food and beverages! 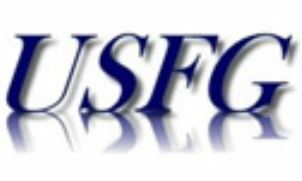 As is our tradition, the feature charity at this event is the USO of Central Virginia. The USO center at the Richmond Int’l Airport provides hospitality to thousands of troops and their families who are traveling during the holiday season. Guests are invited to bring to this event donations of needed items, such as individual size snacks and beverages, travel size toiletries, and cash/gift cards. We will also be selling tickets for raffle prizes with all proceeds going to the USO. Raffle prize donations are welcome! 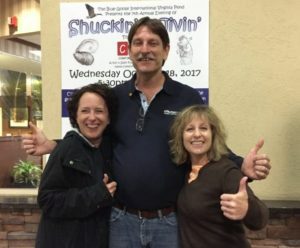 New venue for Shuckin’ & Jivin’ a big hit! The Virginia Pond received rave reviews on the new venue for its 2018 Shuckin’ & Jivin’ event on Wednesday, October 17. 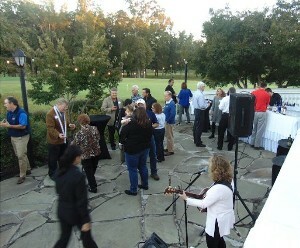 This was the pond’s first event at the Richmond Country Club. The large outdoor patio with its view of the golf course provided a spacious area for music (by Susan Greenbaum), food, fellowship and games, while the indoor space provided a nice respite from the chilly evening. Check out the event photos here. The event was well attended, in spite of many who had conflicts and heavy storm cases. A special shout out to Most Loyal Grand Gander Kim Bilbrey. She came all the way from Dayton to be with us for the evening! Once again, we greatly appreciate all who participated and the generous sponsors who made this fundraising effort for Comfort Zone Camp a big success! 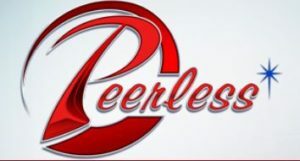 Click a logo below to visit the sponsor’s website. October 17 Shuckin’ & Jivin’ – RSVP now! The Virginia Pond’s 2018 Shuckin’ & Jivin’ event will take place on Wednesday, October 17 at the Richmond Country Club in Henrico, VA. Proceeds will benefit Comfort Zone Camp (CZC), a safe place for grieving kids.Join us for an evening of live music by RIchmond’s own Susan Greenbaum, grilled oysters and other items off the grill, and great fellowship – all for a great cause! Photos from last year’s event are online. This event is open to family, friends and industry professionals! The cost is $32 when paid by October 12 or $35 at the door, which includes food and entertainment. A full cash bar will be available. We hope you will plan to join us, along with your guest(s). Make your reservation now! Sponsors – Register online now or via mail using this downloadable form. 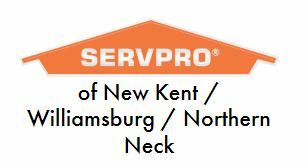 Below is a list of sponsors who have stepped up to support this event. 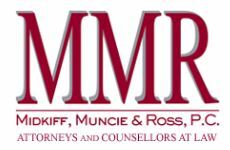 Click the logo to visit a sponsor’s website. Over 20 ganders and guests participated in a River City Escape Room experience on Wednesday, July 18, plus a few extra for the social next door at Nick’s Roman Terrace. 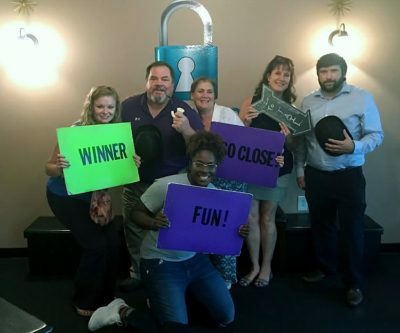 This was the first escape room experience for most participants, which made it an extra challenge. While there were no great escapes to report (better luck next time! ), everyone enjoyed the fun and fellowship. Thanks to Keith Strohecker for making all the arrangements! Meet the the 2018 Honorable Order of the Blue Goose International’s Grand Nest officers. 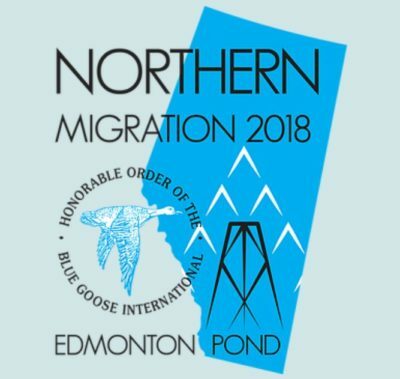 These individuals were elected and installed at the 112th annual Blue Goose convention held in July in Edmonton Canada (L-R): Most Loyal Grand Gander Kim Bilbrey of the Dayton Pond; Grand Supervisor of the Flock Dan Rich of the Hartford Pond; Grand Custodian of the Goslings Michael Smith of the Florida Pond; Grand Guardian of the Nest Wendy Knizek of the BC (British Columbia) Pond. We look forward to great things in the coming year! It was pointed out at the 112th Grand Nest Convention that promoting our cardinal precept of charity is one of the best ways to attract new members to Blue Goose. We are proud to report that during the 2017/18 fiscal year, the Blue Goose International cumulatively contributed over $223,000 in financial contributions; 2000 volunteer hours; over $68,000 in collected goods; and over $10,000 in scholarships. And some of the ponds’ charity reports are still coming in! A final total will be included in the Grand Nest’s annual bulletin. It is always inspiring and energizing to mingle with ganders across the US and Canada at the annual convention and to learn about other ponds’ charitable and social activities. 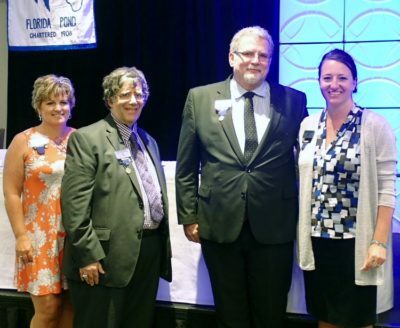 Dana Cullen and Mary Kay Marchetti had the honor of representing the Virginia Pond in Edmonton this July. We look forward to sharing more information from the convention at an upcoming Pond meeting. Thanks to the Edmonton Pond for hosting this year and for organizing such fun activities for ganders, spouses and kids! 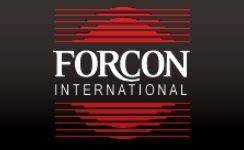 Next year’s convention will be held July 16-19 in Indianapolis, IN. Mark your calendars and watch for details! A Note of Appreciation for our June 7 Golfers and Sponsors! We had beautiful weather for the Pond’s 17th annual charity golf tournament on June 7th, as you can tell in the photos. 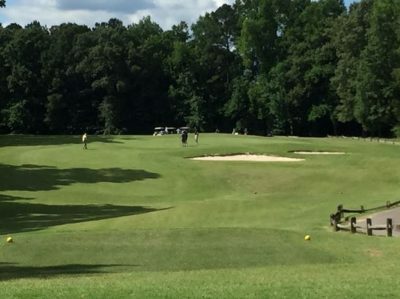 Unfortunately, we had a smaller number of teams due to conflicts with the Contractor’s Connection convention and RCA’s rescheduled golf date, but those who were with us thoroughly enjoyed it! 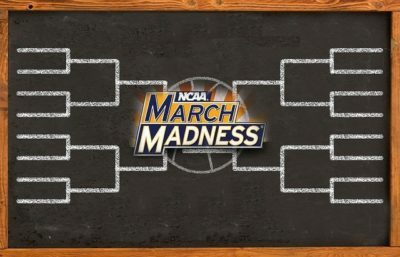 Mark your calendars – next year’s tournament is scheduled for Thursday June 6 (the week before Contractor’s Connection ;-). HF Bulifant & Sons, Inc.